Immerse yourself in ancient history, make friends with the grocers, and enjoy a glass of Prosecco before dinners... There is a lot to love about the lifestyle in Rome until you get to the bureaucracy and slow-moving processes. Keep these mind and you will be gold - dress modestly to the Vatican churches, be wary of pickpockets and do your research on hand gestures. Rome is the bustling capital and largest city of Italy. It is also considered as the European Union’s 4th most populous city with a total of 2.9 million inhabitants as of Feb 2016. 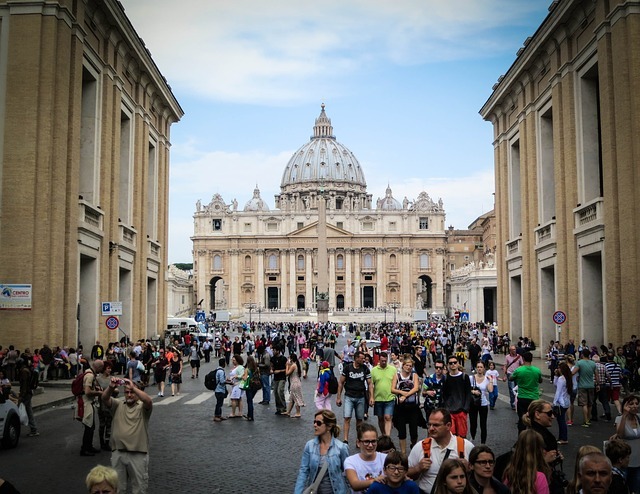 There are many factors that a foreign assignee must consider before deciding to move to Rome. Aside from its undeniably breathtaking sceneries and landscapes, the city is also famous for its promising job opportunities. It is also important to be familiar with its culture, influences and history to ensure that an expat will be able to blend with the local communities. Italian is the official language in Rome, but English is also widely spoken by many locals especially in the business hub or in main tourist destinations. Expats who are planning to live in Rome are advised to learn Italian to help them with their day to day lives and with communicating with other residents who are using their mother tongue. Rome is a global city and serves as Italy’s centre of economics, tourism and commercial activities. Many foreign workers fall in love with the idea of working in Rome because of its popularity and rich history. It is the official home of the President of the Italian Republic as and the Italian Prime Minister. The office of the Italian Constitutional Court and Parliament are both inside the city together with the other government Ministries, making Rome a powerful political headquarters. Rome has a colourful and rich history that dates back to 753 BC when the twins Romulus and Remus decided to build a city. However, many historians believe that Rome was founded in 625 BC. Aside from its undeniable influence in early civilisation, Rome is also famous for its mythology of Gods and Goddesses who were once patrons of the city. The Pantheons or ruins of ancient Roman temples built in honour of Juno, Minerva and Jupiter are among the most famous archaeological or historical sites in Rome to this day. Most people come to Rome for The Colosseum, The Vatican, The Renaissance and Baroque architecture and the thousand-year history that envelops this amazing city. But for working expats, there are more things to think about when moving to this city. Rome is tagged as a "Global City", which means that it is one of the biggest contributors in the global economic system. Rome is also one of the most pleasant cities to live in in Europe, with its pleasant weather, friendly locals, and laid back lifestyle. A few things to remember when packing for Rome, is that the winter season is not too cold compared to other European countries so there’s not much need for thick clothes or boots. The cost of living in the country can be quite cheap, so living on a budget is very possible. 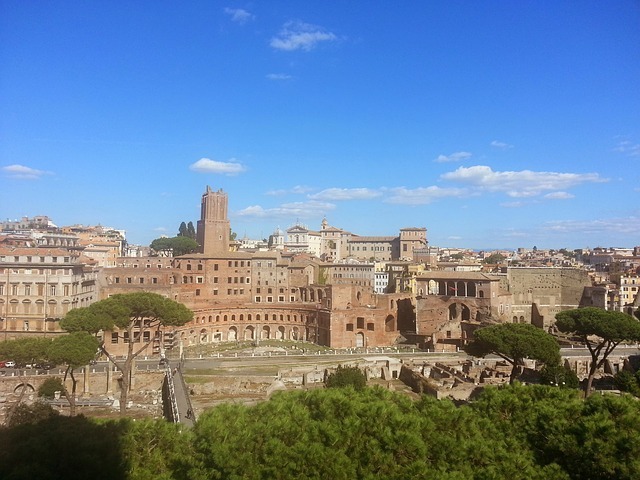 There are several budget traveller guides for cheap places in Rome. Another thing to take note of in Rome is its famous reputation for bureaucracy and how hard it is to process administrative especially government related procedures. If you would need to go through the government for important concerns such as a local driver’s license of school registration, make sure you give it enough time and patience. Expats have the option to hire the service of some of the international movers to bring their belongings to Rome. These companies have a door to door service where they will pick up the package and take care of the whole shipping process until it gets delivered to the new home address abroad. The average delivery time to Rome by air is 1-3 days while the average shipping time takes about 22-29 days from Rome to Asia and vice-versa and about 10-16 days from Boston to Rome and vice versa. Containers are expected to arrive in the Port of Civitavecchia. Upon arrival, local customs officers will conduct an inspection of the items based on Italian import regulations before they clear it for distribution. Once the shipments are unloaded, local customs officials will conduct an inspection of the cargos before they get delivered to the expatriate’s residence in Rome. As we’ve mentioned, Rome has a reputation for bureaucracy. To ship your belongings to and from Rome, make sure that you fill out all the necessary paperwork, such as customs declaration forms and item lists ahead of time. International assignees living in this historical powerhouse are sure to have a blast from the ancient past. 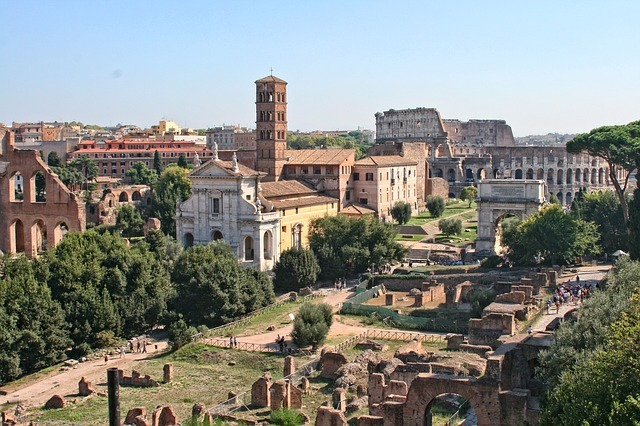 If you opt to move to Rome, you should be prepared, and be knowledgeable. Knowing the culture of the city is the first step, and knowing where to find the things you need when you need them is second. Find more about Rome in this article. Rome is blessed with a Mediterranean Climate which means that winters are just cool enough, and summers are dry and humid. The coldest season of the year is in winter which is between Decembers to February while the months of July to August are the warmest. Spring time occurs between March and May then followed by autumn which happens from September till October. The average annual temperature is a little over 20°C during the day and cools down to 10°C at night. Rainfall happens once in a while in Rome, and the most that people get are drizzles that only call for an umbrella or a light rain gear. Snowfall is also rare in Rome and is considered to occur once every 25 years. Rome is characterised by vast marshlands and nature reserves that are used either for recreational purposes or agriculture. People who have been to Rome as well as expats who are already residing in it often say that Rome is a modernised city that was able to maintain its natural beauty and quiet despite the constant pour of tourists. However, the city currently faces environmental issues such as air pollution which comes from transportation and from the many factories that are emitting harmful smoke like carbon dioxide. Due to the health and environmental threat caused by air pollution, the local government passed and had been implementing the Law No. 319 of 1976 or also known as the Meril Law which regulates the disposal of chemical and organic wastes within Rome and Italy. To this day, pollution in the city is still in the process of being diminished with the help of the joint effort coming from the Ministry of Ecology and the Ministry of Culture and Environmental Quality. Knowing where to find goods, and markets to do your groceries in is also an added advantage. Located in the centro storico, is the “Campo dei fiori Market”, it is one of the most popular markets in Rome. It is very popular with tourists and is filled with genuine souvenirs. Another great place to shop is the “Testaccio Market”, the market is an astounding place to buy gifts and at the same time, do your daily shopping. The market also offers great food stands where you can buy delicious sandwiches, and other kinds staple food. If you’re a person who loves literature and the opera, then Rome is a place for you. The city is filled with theatres. “Teatro dell’Opera” being of the most famous theatres in the country, which puts on astonishing opera productions and ballet performances. Surrounding the theatre, are numerous bars and restaurants to complement the great landmark. Eating, and the night passeggiata, or “night strolls”, are also famous, popular forms of entertainment in Rome, considering the city’s articulated structure. Being part of a city’s culture is both an enjoyable and a refreshing experience. As a city that resides in the fashion capital of the world, appearances and clothing matter a lot in Rome. Clothing choices and one’s ways of dressing up can also determine their social status. Air-kissing on both cheeks is a common way of meeting and greeting in Italy; for men, a pat on the back is genuinely added. And just like most countries, first impressions are very important. Discovering different cultures can be an awful experience, and at times can also be quite shocking. Language, as we all know, is a gigantic part of a country’s culture. Rome is a city where the vast majority of the population only speak Italian, so learning the local language is both a necessity and an advantage for expats. And being kissed on both cheeks can be a quite surprising experience in the country, though this is a normal and the traditional way of meeting and greeting.